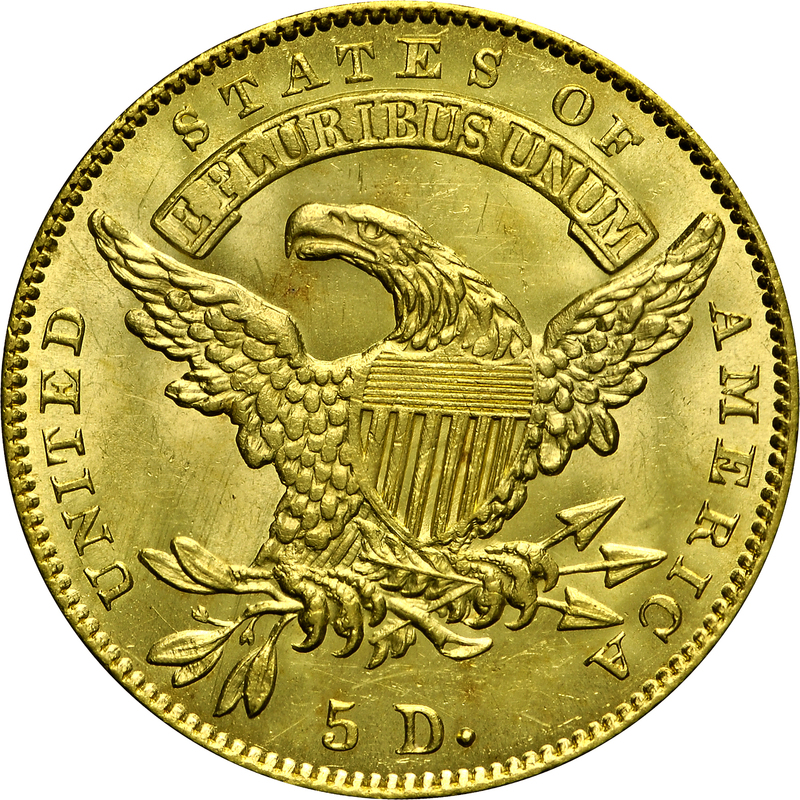 This example from the Bass Collection has small figures in the denomination, and is commonly called the Small 5D variety. 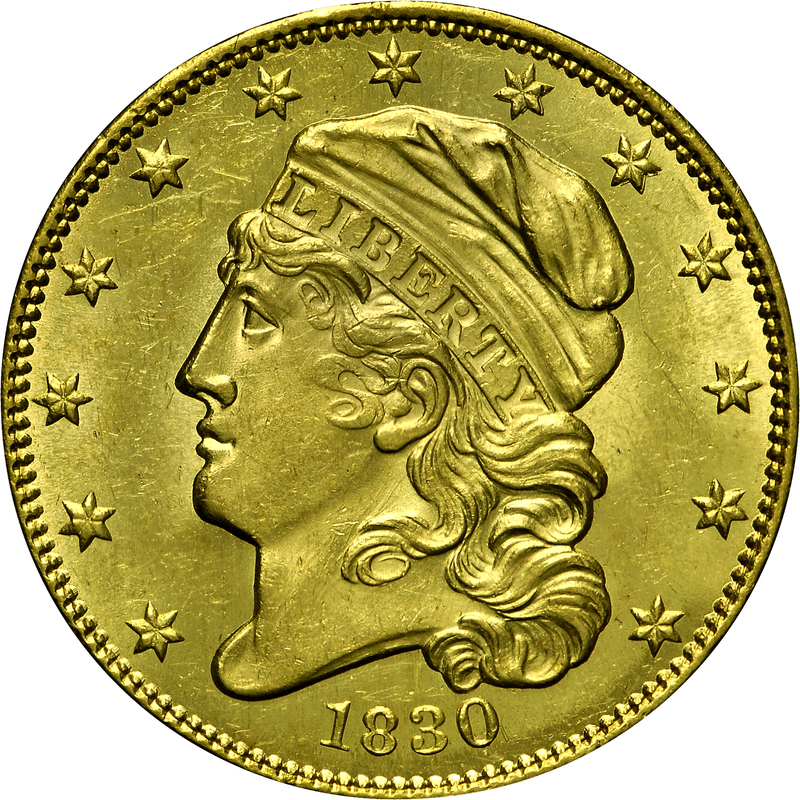 All half eagles minted from 1829 to 1834 with motto on the reverse are especial rarities, despite considerably higher mintages than coins of the earlier type. 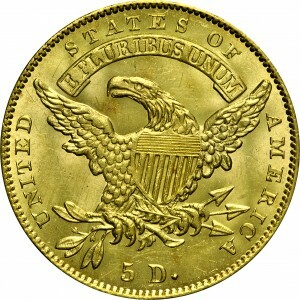 The present half eagle variety with Small 5D is slightly more available than the other variety with Large 5D displayed at HBCC-3156. 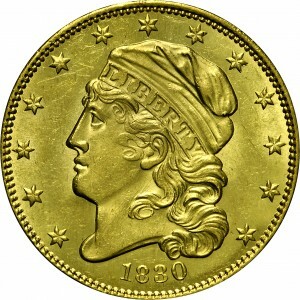 Perhaps only two or three Mint-State examples of this variety exist aside from the present coin in the Bass Collection. Additionally, Harry Bass acquired a second example during his active collecting. From Stack's sale of the Nate Shapero Collection, October 1971, Lot 980. "Obverse: Very small date, 1 taller than other digits. Symmetrical 8. Recut 18 0, most evident at top of 0. Small stars: 8, 9, and 12 recut. Lapped. Reverse: Small letters. Still smaller 5, its top but slightly concave. Small D; larger period, close to D. Modified claws. No rear claw. Berries have full stems."